Dr. S. K. Kashyap, Associate Director of G.B.Pant University of Agriculture and Technology, Pantnagar, Uttarakhand, spoke on ‘Discipline (अनुशासन)‘ during the session with the theme ‘Harnessing the Powers of Mind (मन की शक्तियों का दोहन)‘ on 19 October 2013. 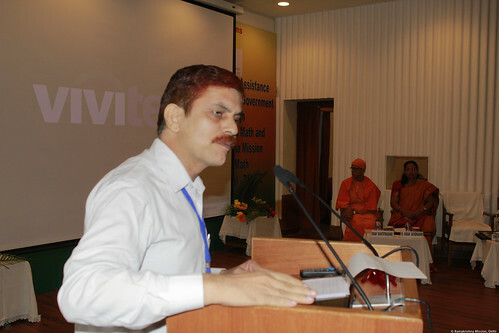 Dr. S. K. Kashyap is an associate professor in the Department of Agricultural Communication and Associate Director at the Directorate of Communication at the G.B. Pant University of Agriculture and Technology. He initiated the Vivekanand Swadhyay Mandal that has been nurturing youngsters with the ideas and philosophy of Swami Vivekananda for last 10 years. He has organized over one thousand youth workshops for life skills and personality development. 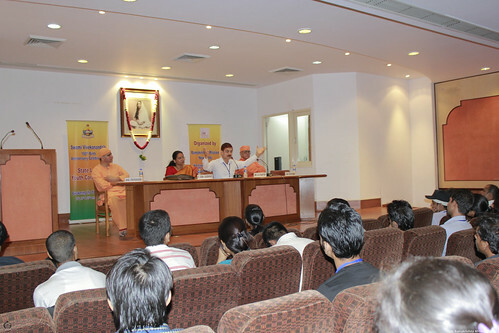 He has written eight books on several subjects, including Motivational Leadership: Swami Vivekananda Way.